You think it's over? It's not over until ASUS says it is. And in addition to a handful of other hardware announcements at Computex, they've pulled the wraps off of a pair of more standard tablets in their MeMO line. The 10-inch MeMO Pad FHD (for "Full HD," we presume) is the more interesting of the two, thanks to its 1920x1080 screen IPS screen and unconventional Intel Atom processor. The MeMO Pad HD 7 is a slight refresh of the original, budget-friendly MeMO Pad, this time with a high-res screen and a quad-core processor. The MeMO Pad FHD 10 comes with an Intel Atom Z2560 CPU running at 1.6Ghz - a Clover Trail model, and the first dedicated Android machine from ASUS to use Intel chips. 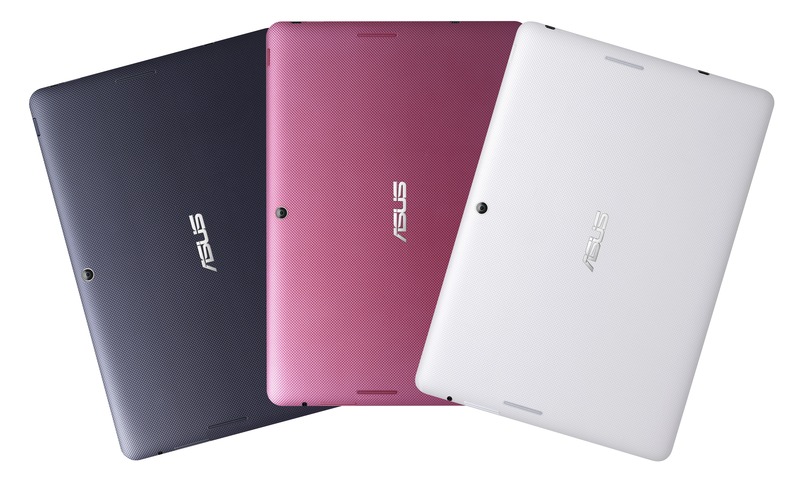 (For some more Intel-ASUS news, check out the insane Android-Windows hybrid Transformer Book Trio.) The tablet uses dual stereo speakers, an open MicroSD card slot, and either 16 or 32GB of storage. Cameras are 5MP at the back and 1.2MP in front, and a claimed 10-hour battery life playing back 720p videos. ASUS isn't saying how much RAM will be in the MeMO Pad FHD, or how much it will cost, but it won't go on sale until September anyway. Look for it to be considerably cheaper than the new $400 Transformer Pad Infinity. When it does hit store shelves, it will be available in blue, white, and pink. The MeMO Pad HD 7 is, naturally, a 7-inch tablet, though this year's model gets bumped up to the now-standard 1280x800 screen. 8 or 16GB of storage is offered (plus a MicroSD card slot) but the MeMO HD 7 gets an expanded 16GB of ASUS web storage for a year. The 7-inch tablet has the same stereo speakers, 5MP/1.2MP cameras, and 10-hour battery life as the MeMO FHD 10. The processor is quad-core, but ASUS didn't say the model or speed - at this price, maybe an older Tegra 3? 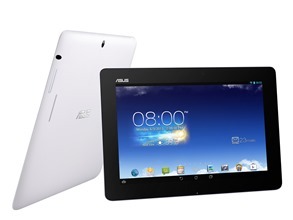 ASUS isn't saying much about the version of Android included on the tablet, but we'd guess 4.2. The most impressive thing about the MeMO HD 7 is the price: the 8GB model will be offered for a jaw-dropping $129, with the 16GB version just a bit more at $149. Both will be available internationally in July in black, white, pink, and green colors. According to the press release, both the MeMO FHD 10 and HD 7 come with "a protective TransCover with microfiber interior," described as both a cover and a stand. A "Persona Cover," which is more of a full case than an iPad-style smart cover, will be offered for the HD 7 at an undisclosed price. 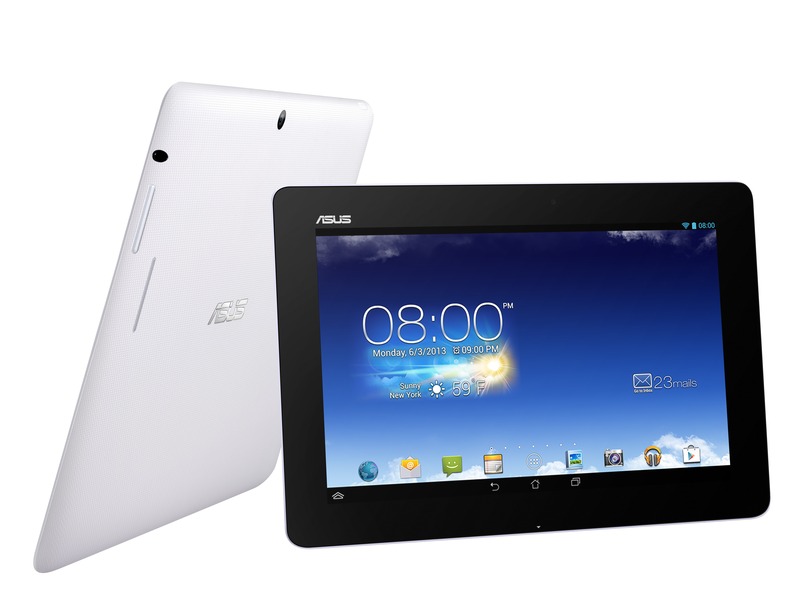 Computex Taipei, Taiwan (3 June, 2013) — ASUS today announced the new MeMO Pad™ HD 7 and MeMO Pad™ FHD 10 Android tablets. With an MSRP of just US$129 for 8GB capacity and US$149 for 16GB, MeMO Pad™ HD 7 is a 7-inch tablet that offers incredible value, with a quad-core processor, 1280 x 800 IPS display, and 1.2-megapixel front and optional 5-megapixel rear cameras. MeMO Pad™ FHD 10 is a 10-inch tablet with the new Intel® Atom™ Z2560 processor, 1920 x 1200 Full HD IPS display and ASUS SonicMaster audio technology. 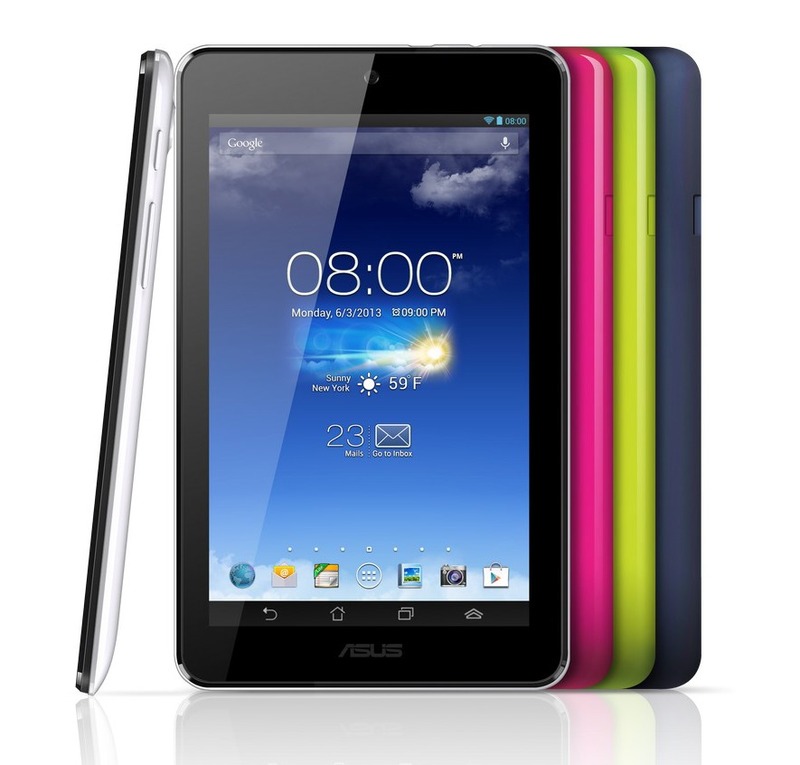 ASUS MeMO Pad™ HD 7 has a quad-core processor and 1GB RAM for smooth and responsive performance with apps of all kinds. The 7-inch display has a 1280 x 800 native resolution for crisp text and images, and IPS technology for accurate, vibrant colors with 170-degree wide viewing angles. MeMO Pad™ HD 7 also features high-quality stereo speakers with enhanced sound, courtesy of ASUS SonicMaster audio technology. MeMO Pad™ HD 7 has a 1.2-megapixel front-facing HD camera that can capture 720p HD videos and models are also available with a rear 5-megapixel camera. Just 10.8mm thick and 302g, the feature-packed MeMO Pad™ HD 7 has a lithium polymer battery that lasts for up to 10 hours with 720p video playback. Models are available in four colors — black, white, pink and green. MeMO Pad™ HD 7 has 16GB of storage and a MicroSD card slot, plus 16GB ASUS WebStorage free for one year. Together with the ASUS WebStorage Office, users can view, create, edit and share Microsoft Office documents online. 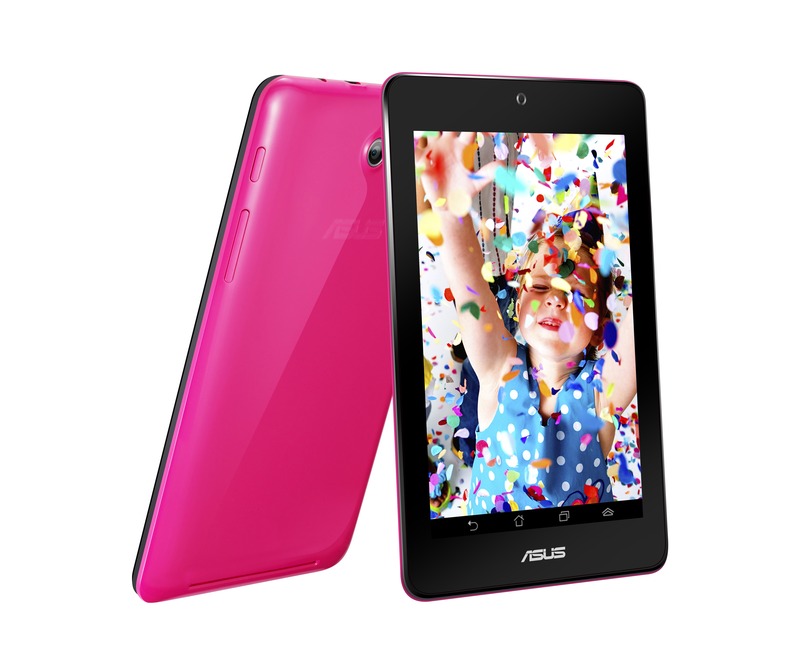 ASUS MeMO Pad™ FHD 10 features the latest Intel® Atom™ Z2560 1.6GHz processor and a 1920 x 1200 Full HD IPS display for deliver vivid visuals with 178-degree wide viewing angles. MeMO Pad™ FHD 10 has stereo speakers with SonicMaster audio technology and its 10-inch screen makes it ideal for entertainment, 1080p video playback and handheld gaming. MeMO Pad™FHD 10 features Intel® Hyper-Threading Technology for improved graphics performance and increased energy efficiency. The slim design has a 1.2-megapixel front-facing camera and a 5-megapixel rear-facing camera with autofocus for impressive photos and 1080p video recording. MeMO Pad™ FHD 10 is just 9.5mm thick and 580g light, and its lithium polymer battery lasts for up to 10 hours with 720p video playback. The ‘micro-weave finish’ is available in Royal Blue, Silk White, and Vivid Pink. ASUS MeMO Pad™ HD 7 has an MSRP of US$129 for 8GB capacity and US$149 for 16GB, and will be available starting in July 2013. Please contact your local ASUS representative for further information.